ROCK HILL, S.C. — Doing the laundry is dreadful enough as it is, but for a Rock Hill woman it was scary. “It was shocking. 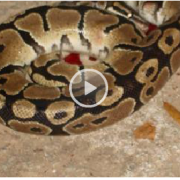 I’ve never seen a snake like that in real life before,” said Denise Cubbedge. She and her husband found a snake in their dryer after it stopped working. “Saturday morning I went to fluff the clothes and when I turned the dryer on, the motor started, but it just wouldn’t spin. It made a horrible noise,” said Cubbedge. She says she’s seen black snakes before because they live pretty close to the woods. 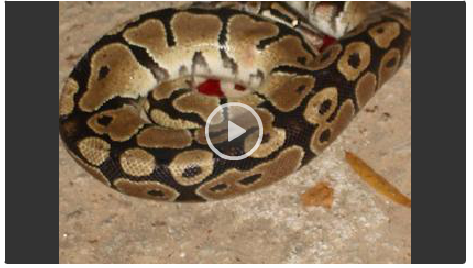 “This is not a snake that came from the woods,” she said. This snake, she believes, was once someone’s pet, possibly a python, approximately 4 feet long. “It came out of somebody’s house and just happened to find a heat source at our house,” she said. Cubbedge was worried. They have two small children. “We knew it could’ve been dangerous, especially with a 1-year-old and a 4-year-old in the house,” she said. Even scarier, it turns out the snake likely came in through the dryer vent on the outside of their home. Now that vent has been covered once again. “You can see my husband replaced it and then he put all this insulation around it to hold it in there snug and tight,” she said. Rick Seifert, owner of The Pest Control Authority, says snakes coming in to homes isn’t uncommon, but a snake in making its way into a dryer is rare. “That would be very surprising,” said Seifert. If you don’t want to find any unwanted guests in your home, “Make sure your garage door seals when it goes down. Walk around your foundation. Make sure your foundation vents are secure,” he said. The Cubbedge family killed the snake and hope they won’t have to worry about anymore unexpected visitors.